At the Dermer Law Firm, in Los Gatos, California, we serve individuals, families and small businesses throughout the Bay Area. We are a general practice law firm, with a practice that includes taxation law, personal injury, estate planning, probate and trust administration, probate and trust litigation, business law, commercial real estate and general litigation. Our experienced taxation law attorneys offer individuals and businesses unparalleled legal representation for income tax preparation, business tax matters, 1031 tax-fee real estate exchanges, audits and back taxes, and estate taxes, including gift tax planning. For personal injury, we vigorously pursue maximum compensation for accident claims related to motor vehicle accidents (car, truck, motorcycle, bicycle, pedestrian), slip-and-falls, insurance claims, third-party workplace liability claims, accidental destruction of property, fire damage and dog bites. And our comprehensive estate planning services include drafting wills and trusts, appointing conservatorships, and reducing estate taxes. The success of our firm is based on the experience of our father-son legal team. Martin D. Dermer became an attorney in 1975, and prior to that he was a tax practitioner for 13 years. His son, attorney Joseph Dermer was our firm's tax and business adviser for several years before starting his career as a lawyer. Our firm is established, trusted and well-known in the community, and we have a long track record of obtaining the best possible results for our clients. 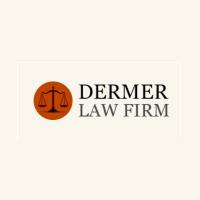 For excellent personal service, accessibility and responsiveness to your needs, contact the Dermer Law Firm. We accept all major credit cards.